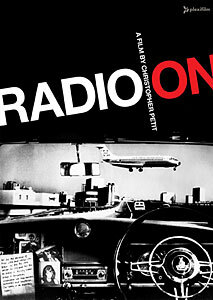 Radio On (Director: Christopher Petit): A few years ago, I picked up this DVD, likely for the same reason as Plexifilm decided to put it out: an amazing soundtrack featuring songs by Bowie, Kraftwerk, Lene Lovich, Wreckless Eric, Ian Dury and more. The reason it’s taken me so many years to actually watch it is that I mistakenly read some of the film’s reviews. Critically panned at the time, Radio On has become a bit of a cult favourite among a certain type of music-savvy cinephile. But after watching it, I find myself among those who find it a pretentious exercise in style over substance. Director Chris Petit had been a film critic for Time Out and a big fan of the road movies of German director Wim Wenders. Remarkably he was able to interest Wenders in signing on as executive producer for his first film. Wenders recruited his regular cinematographer, Martin Schafer, to shoot it, and so the resulting film is a very odd German-English hybrid. Petit’s use of music is perhaps the best thing in the film, predating music videos by years, and his innovative introduction of the film’s songs in the opening (rather than closing) credits indicated the importance of music to setting the film’s mood. The music of Bowie’s Berlin period and of German electronic pioneers Kraftwerk is perfectly matched to the film’s pervading texture of existential angst. The film has been called an example of the postpunk aesthetic, and it does capture postpunk’s feeling of resignation, of punk’s anger now spent and despair creeping in. England’s late 70s industrial decay is photographed in grainy black and white, and as a visual and sonic document of time and place, Radio On is beautiful and bordering on essential. As a narrative film, it’s quite another matter. The plot concerns a London DJ who drives to Bristol to investigate his brother’s death, an apparent suicide. But between the flat acting of David Beames and the script’s stubborn refusal to divulge information to the viewer in a straightforward way, the plot ends up making little sense. And our protagonist’s interactions with characters along the way are fleeting and devoid of much human warmth. The closest he comes to a human connection is with a German woman (there’s the German connection again) who is in England looking for her young daughter who has been living with her father. But even that relationship ends abruptly, with no explanation. In the same way, many of the songs on the soundtrack cut off abruptly when our man gets out of his car, or leaves the pub. Essentially, in a pre-Walkman/iPod age, whenever he’s out of earshot of a radio or jukebox, there is no music. It’s a jarring effect. Petit’s attempt to blend Germanic cool with English grime is effective on a surface level, but his auteurist flourishes grate when it comes to telling a story or depicting a character. The cameo by Sting (in his first film role) backfires because in his scenes, he’s more interesting than the main character. Even the filmmakers acknowledge this; the film stays with him even as our protagonist drives away. The glacial pace and flatness of almost all the other characters make us want to stay with him even longer. Strangely, Petit admitted the casting of the Police frontman was a feeble attempt to put bums in seats. Like the split German/English personality of the film, it also doesn’t seem to know if it wants to be a work of art or of mass appeal. When the music is playing, the film sings, but when the radio is off, things are much grimmer. Maybe that’s the point, in the end. This entry was posted in DVD and tagged germany, postpunk, uk. Bookmark the permalink.